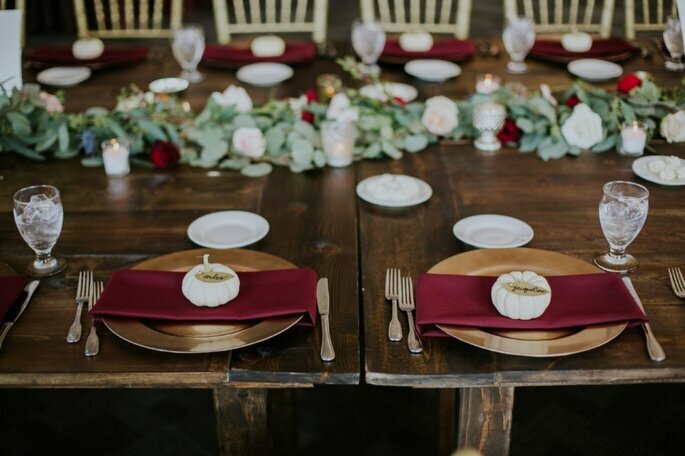 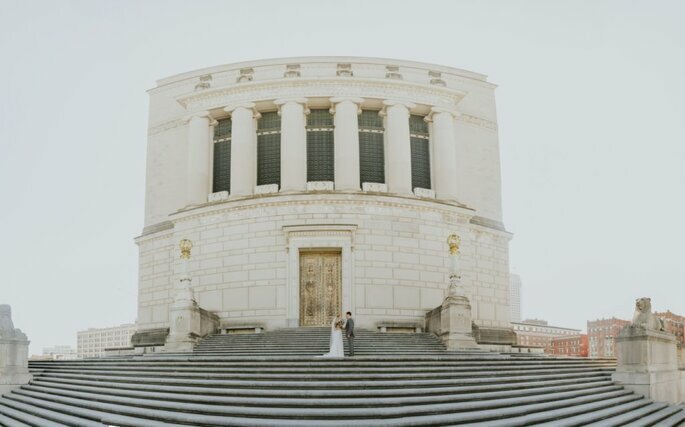 We’re excited to share these beautiful photos of Jacqueline and Andrew’s wedding with you. 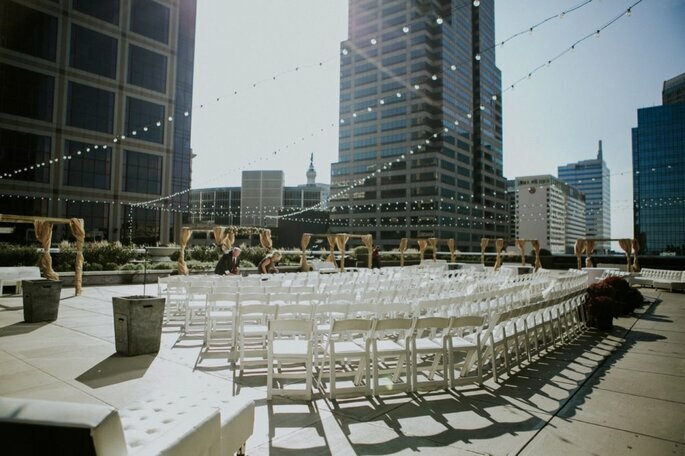 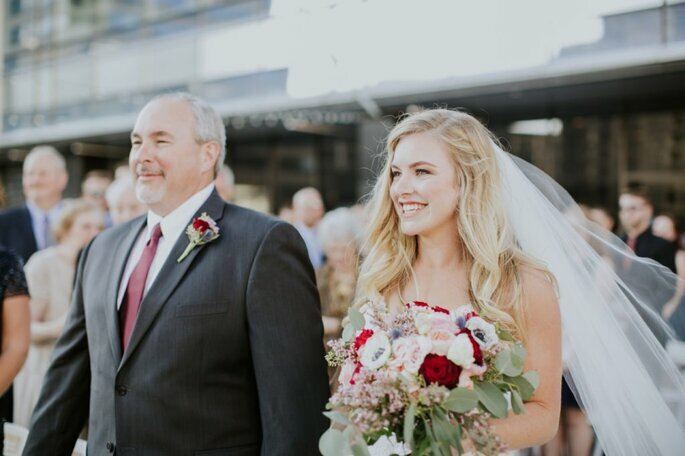 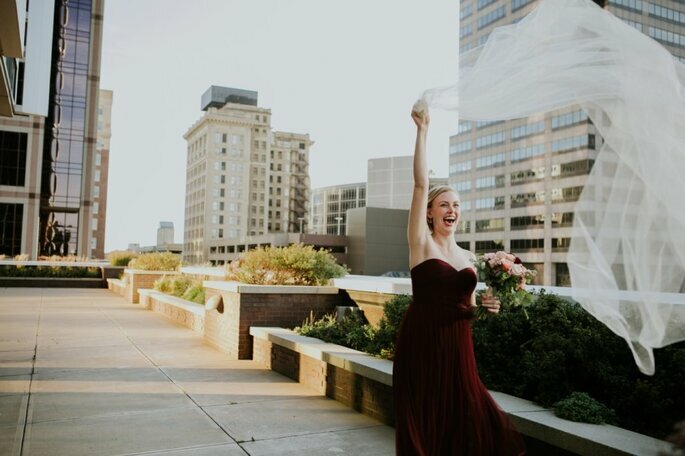 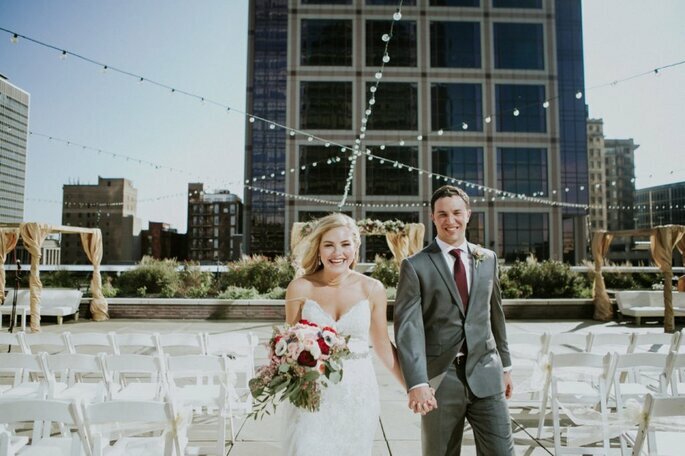 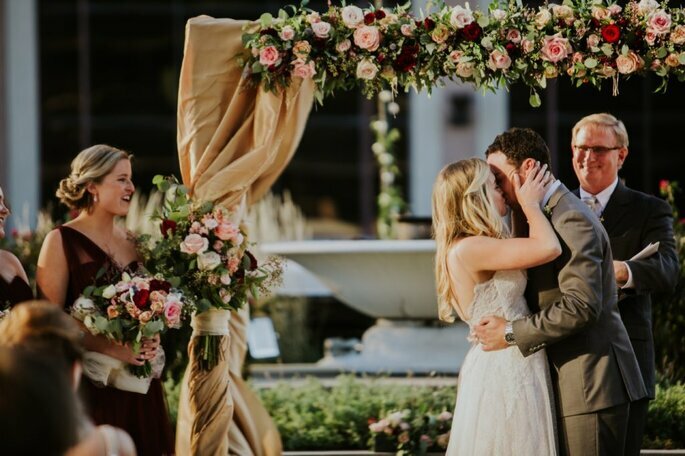 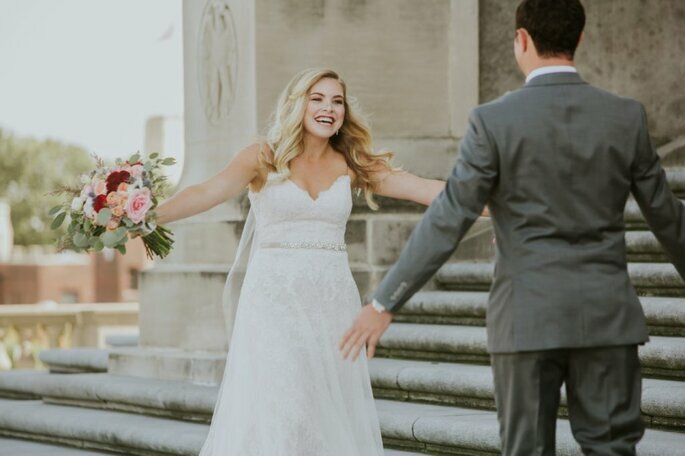 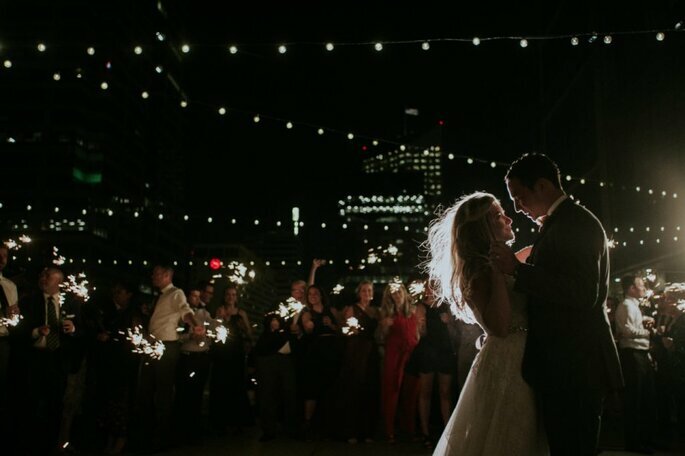 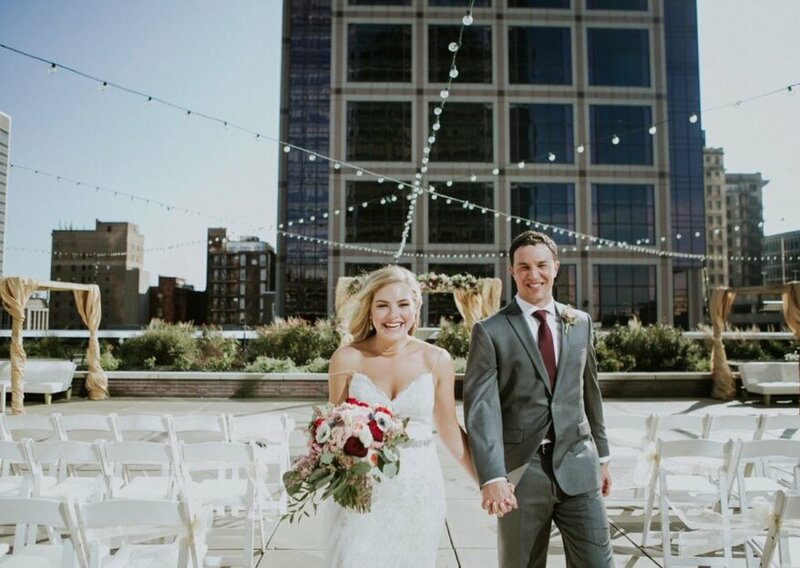 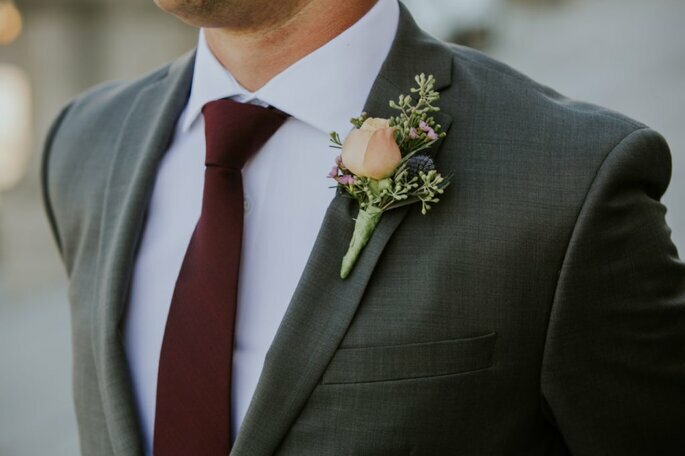 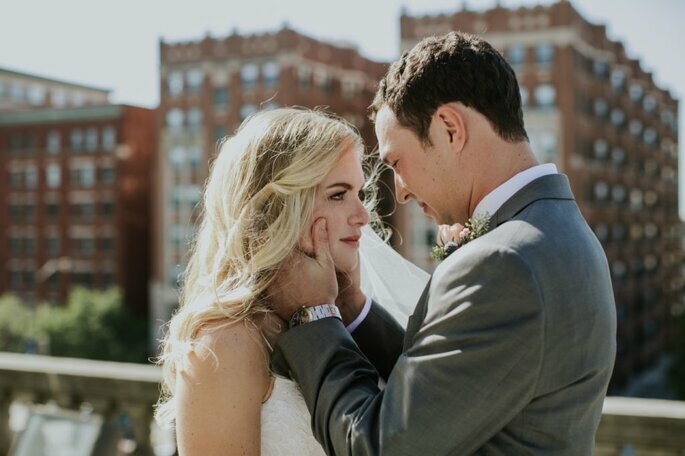 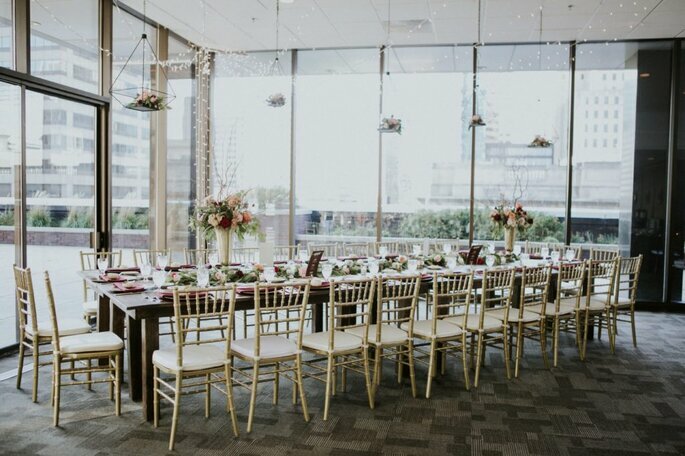 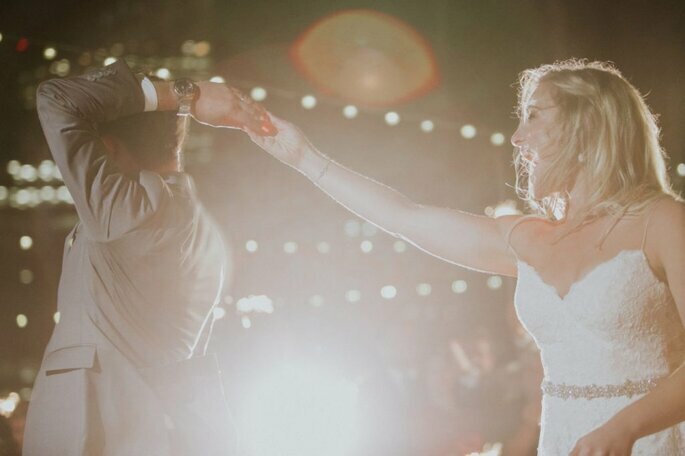 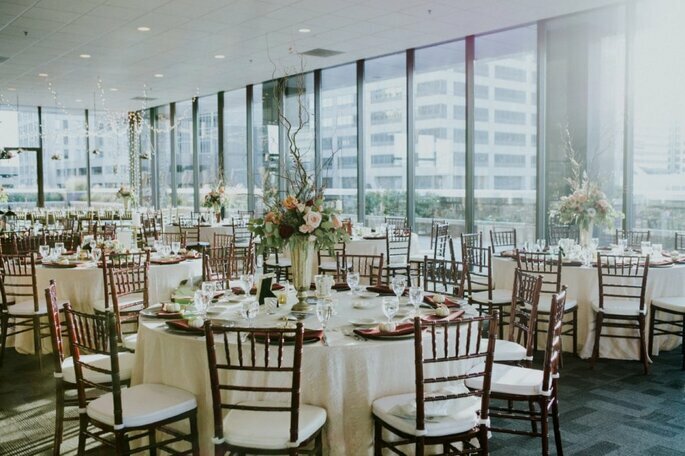 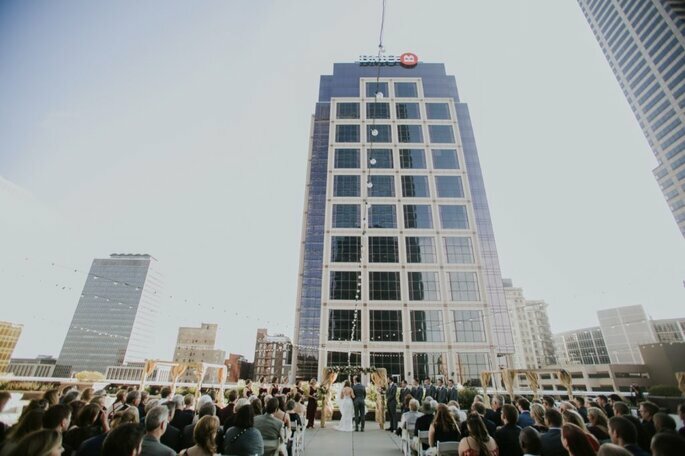 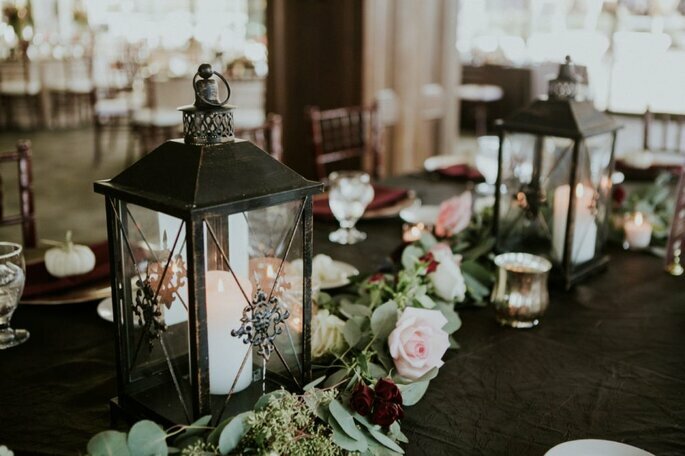 After dating for ten years, this happy couple got married on the rooftop terrace of Regions Tower in Indianapolis, and it’s safe to say their wedding oozed city elegance and romance, making great inspiration for 2018 weddings. 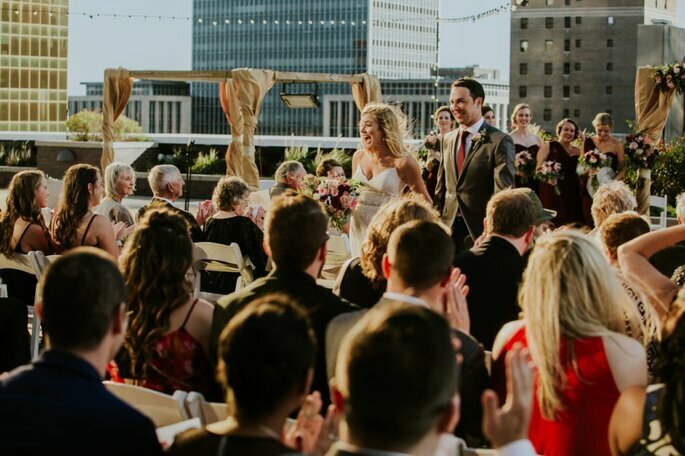 Jacqueline and Andrew said their vows as the golden sun set for the evening, surrounded by Indy’s skyline, twinkling lights and smiling faces. 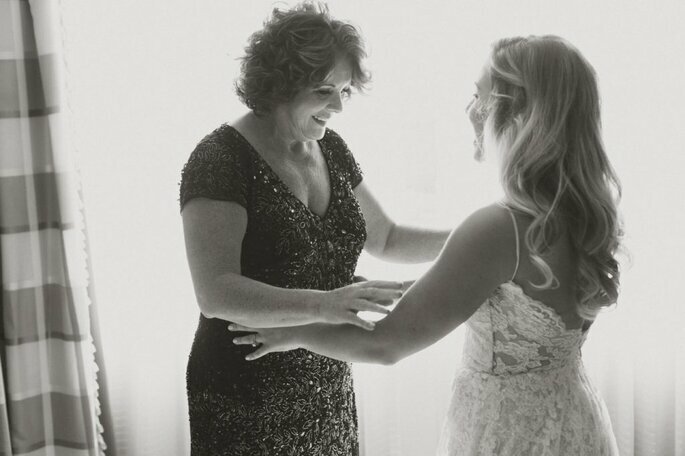 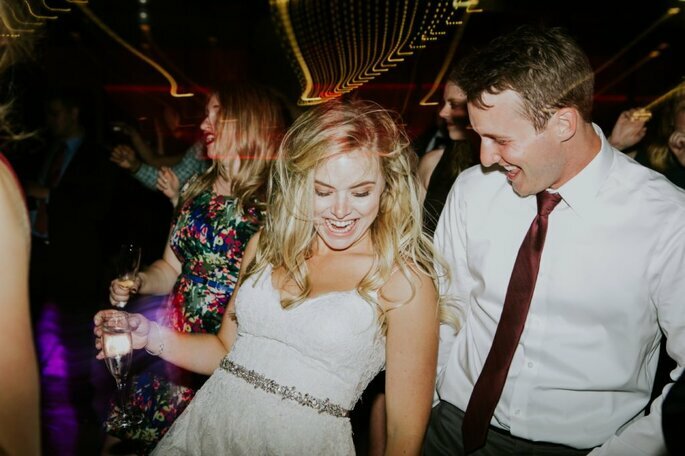 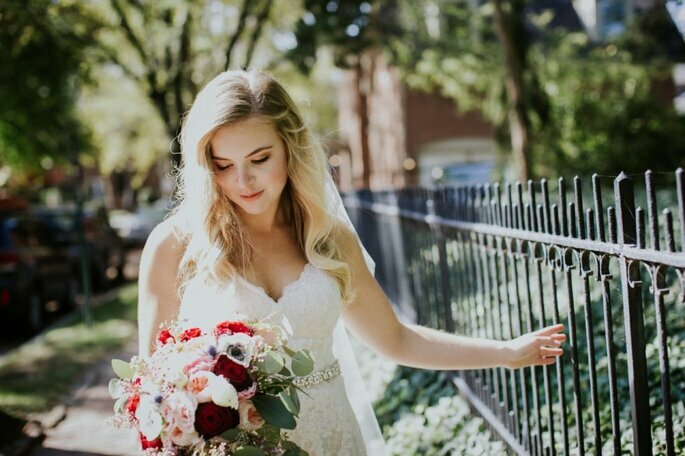 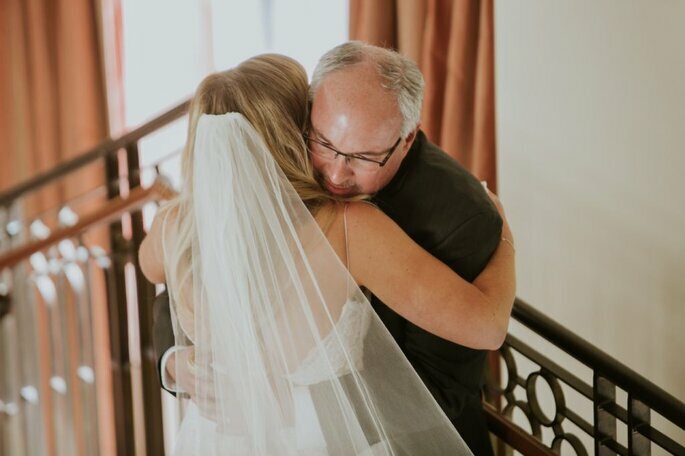 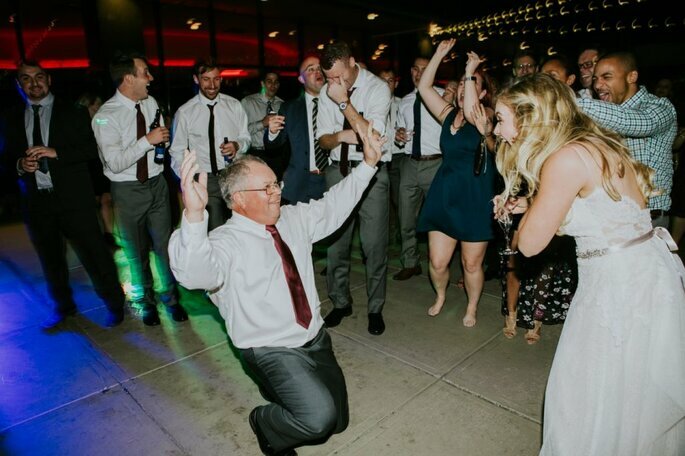 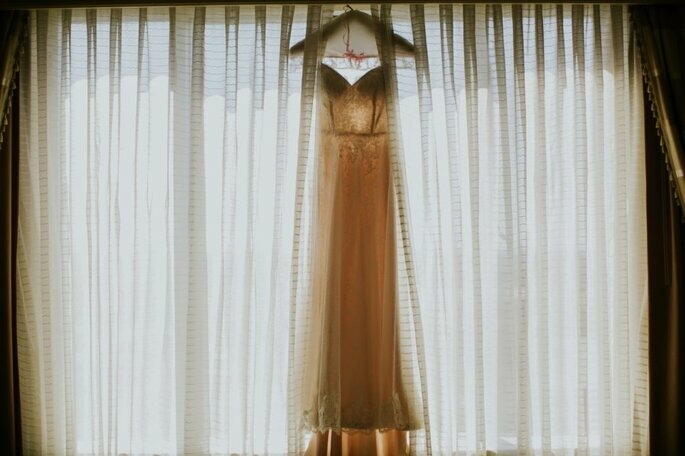 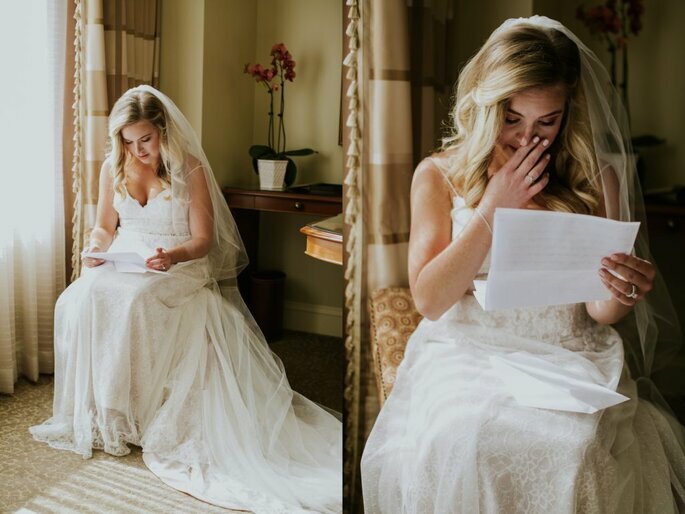 Everything about their day was planned with their families in mind: Jacqueline’s dress hung on the same hanger her mother’s did in 1984, she had a tearful first look with her father, and their wedding after ten years of knowing each other felt like a joyful family reunion. 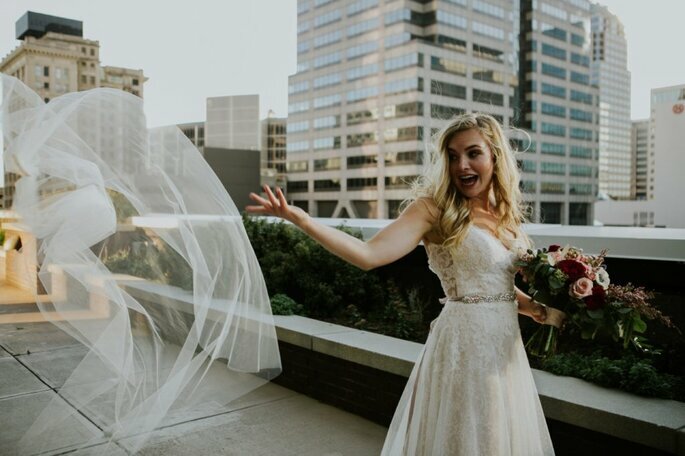 Being on the 5th floor of a building meant that the wind had a mind of its own – Jacqueline’s veil even flew away, only for it to be caught again by one of her bridesmaids for a rather magical moment! 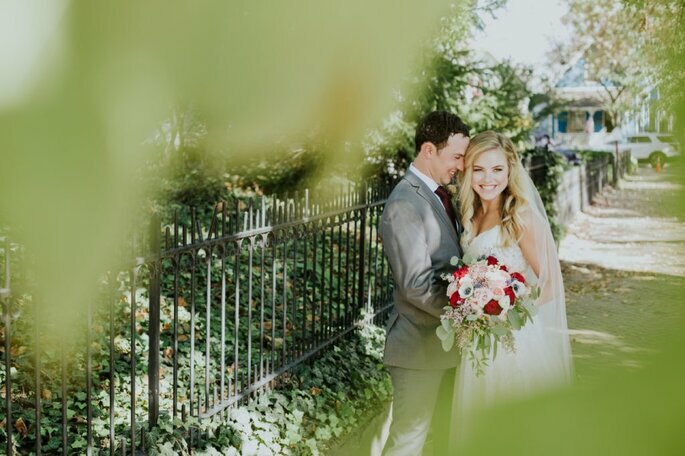 After some lovely portraits with their photographer, the couple spent the rest of their day with family and friends, delicious food and lots of dancing! 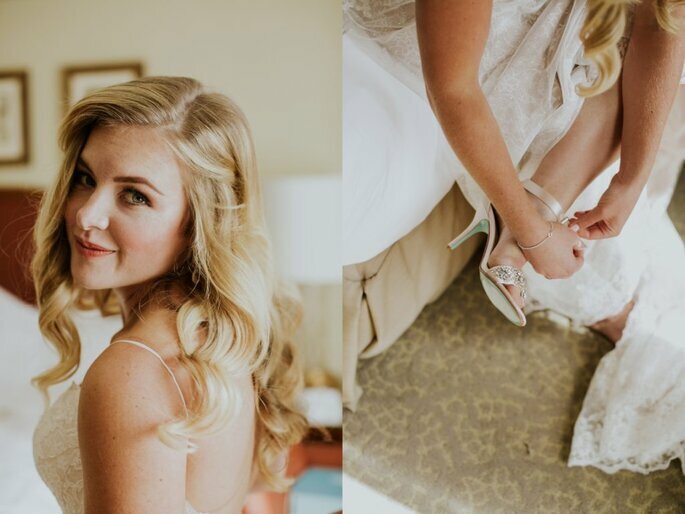 We hope you’ve enjoyed these photos as much as we have, courtesy of Jennifer Van Elk Photography. 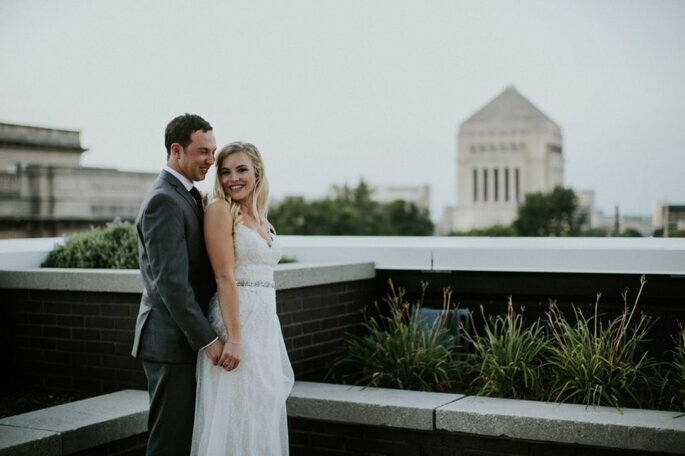 Congratulations to Jacqueline and Andrew on their gorgeous wedding! 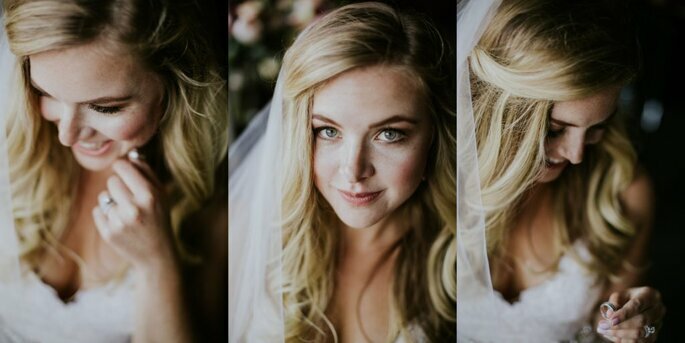 Would you like to contact Jennifer Van Elk?